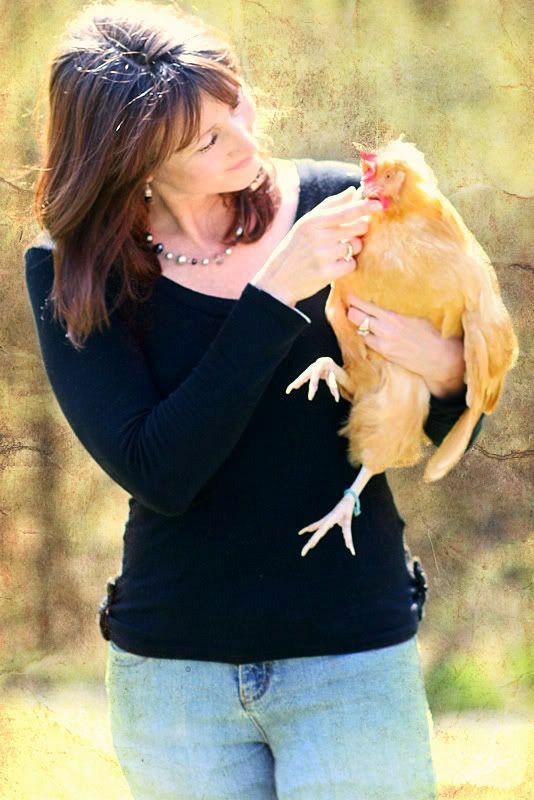 Our Country Chronicles: I Love My Chickens!! 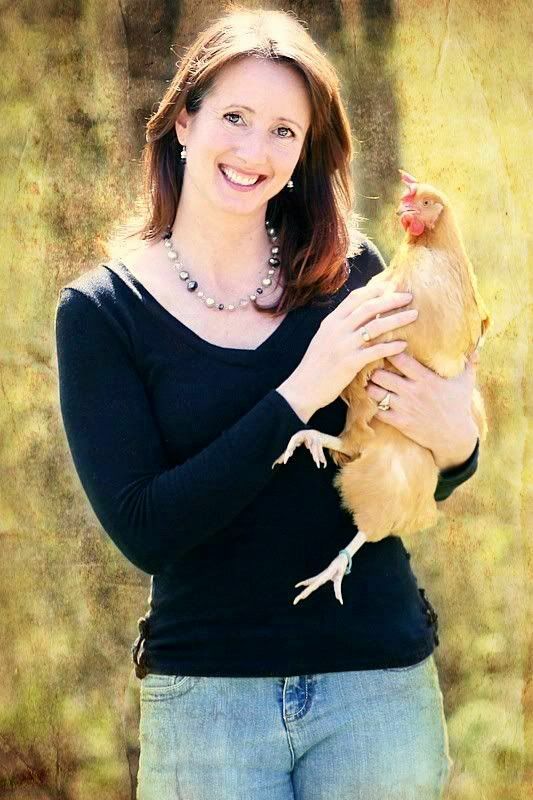 I mean I really, really LOVE my chickens! They have so much personality and are so fun to watch. They love their human family and give us the most delicious eggs! I am really having the hardest time waiting for our new babies to arrive. They'll be here on or around April 10th. We're getting 3 more day old baby Buff Orpingtons. The excitement is growing in our household. I'll soon be getting the brooder ready for some new little peeps. Spring is so fun for chicken fanciers!! Guess who my photographer was. It was Tara, and she's not bad behind the lens! I added the texture though. She did amazing! Great pics!!! Thank you Gretchen! I'll tell her you said so. What a sweet thing to say Carolyn! Thank you!! Wonderful photos! We love our girls too. We have one BO (Dorothy) and she is definitely a character. Then we have five others all different breeds. Chicken ownership is so rewarding! It really is Alexis. I just love having them. Who would have thought that they could bring so much joy! Certainly not me!! Stopping by from Fresh Eggs Daily on FB! Wonderful photos! We incubated chicken eggs last spring and ended up with 7 hens and 3 roosters. The roosters have been rehomed a short distance away, but the hens are QUITE spoiled! I always thought of them as "just chickens" until we hatched them! I know exactly what you mean. I too always thought of them as just chickens. Amazing how owning a few can really change that perspective! Talented photographer! ...and you, Kelly, are as adorable as your girls (the human ones) ! So glad you're bringing in more adventures. Can't wait to see the pix. hmm. Last time, it was floating pullets.. this time....snorkeling? Thank you Lauren. :) As for our new little peeps...I'm thinking that the older hens will teach the new ones Synchronized Swimming. Tara did a fabulous job! 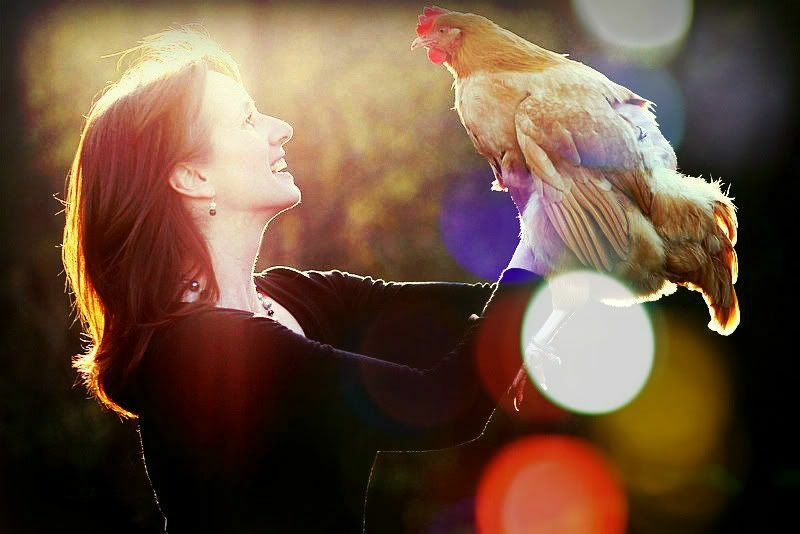 I especially love the last one of you holding the hen up and the light falling behind you. You look great, Kelly! Thanks Denise. Lighting is key at my age!! 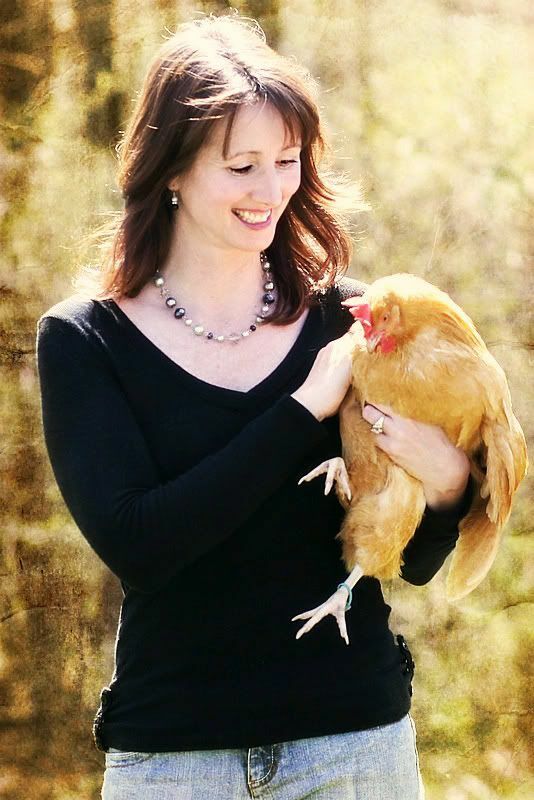 Beautiful photos of a LOVELY lady and precious chickie girl! Good work, Tara! I see that You really look after Your chickens. It is important - if animal is well maintaned, it will be health and happy. You are right Zim. Also, if they are happy, they will lay extra nice tasting eggs! They are 2 weeks old tomorrow and there is no end to the amusement! Best wishes to you this spring! They are soooooo beautiful!! I absolutely love them. Keep posting new pictures! Thanks for commenting on my blog! I'm with you on the chicken thing. Plans are in the works for our first flock coming this year ... My best chicken memory is winning "most unusual pet" at the county fair for my bantum roo Cunningham. I think I was 7. Look forward to following your tales! How awesome!! We are getting 3 more tomorrow. The girls and I are really excited. Roman and Lauren are going to just LOVE it! These are gorgeous photos! What a great photographer! Found your blog on Facebook. So glad I did! Thank you so much! These particular photos were actually taken by my 10 year old daughter. I agree, she did a great job!